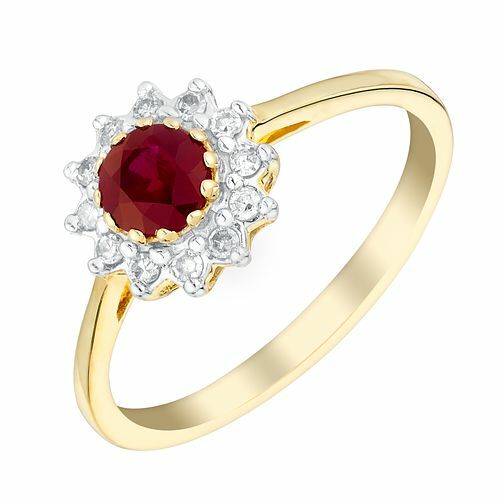 A stunning 10pt round cut ruby takes centre stage in this exquisite 9ct yellow gold ring. Framed within a cluster of mesmerising diamonds, this beautiful ring exudes classic elegance. Perfect for adding a dash of glamour to every occasion. 9ct yellow gold 10pt ruby and diamond ring is rated 5.0 out of 5 by 3. Rated 5 out of 5 by Anonymous from A classic piece I am very pleased with this item it looks very classy and the colour of the ruby is very deep.